Ten years ago this month, four young entrepreneurs launched a small creative services company. A decade later, IDW has grown to be the fourth-largest comic book and graphic novel publisher, with a diverse catalog of new and classic books, representing every major entertainment genre. To commemorate its tenth anniversary, the company will release the two-volume hardcover, IDW: The First Decade in May, 2009. Preview Volume 1 at IDWPublishing.com/IDWX! IDW: The First Decade offers an oral history of the company, as told by the many talented individuals who contributed to IDW over the years, including co-founder and CEO Ted Adams, Publisher/Editor-in-Chief Chris Ryall, plus dozens of artists and creators such as Clive Barker, Joe Hill, Gene Simmons, Ben Templesmith and Ashley Wood. Volume 1 of IDW: The First Decade offers a unique look at the genesis of the company and explores the surprising path that led a start-up design company to become an award-winning publisher. The second volume showcases every cover IDW has printed, through December 2008. 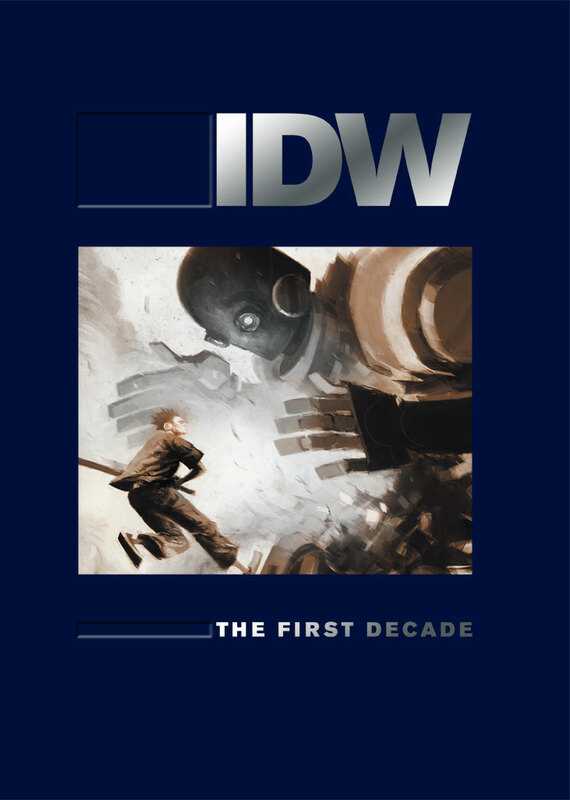 IDW: The First Decade also features an exclusive comic with all-new five-page stories from some of IDW’s top books, including Fallen Angel, Locke & Key, and The New York Times Best Selling Wormwood.